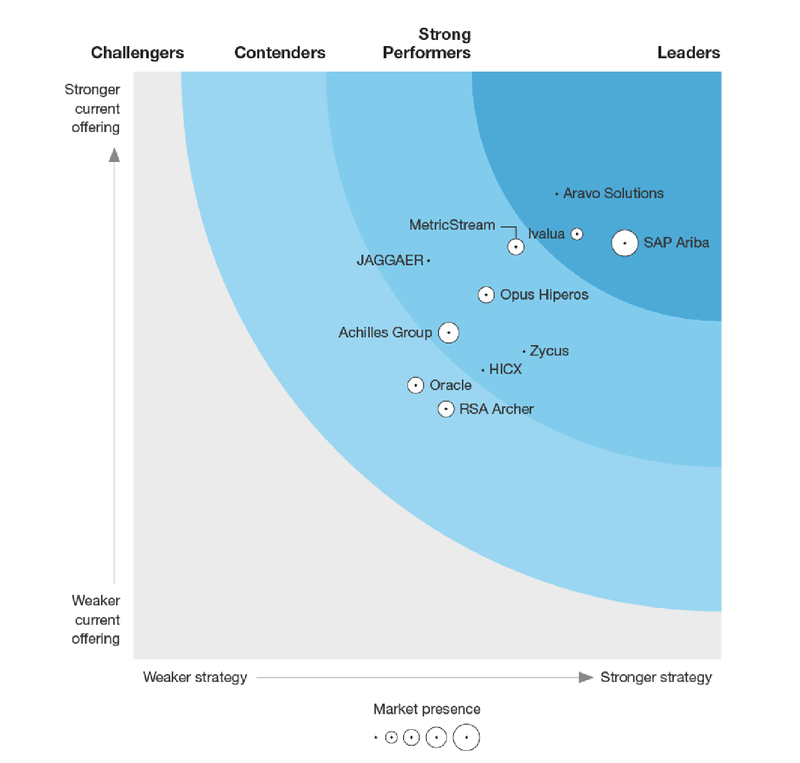 The Forrester Wave™: Supplier Risk And Performance Management Platforms, Q1 2018 is one of the industry's most rigorous and influential analyses, and is based on research briefings, live product demonstrations, customer surveys and interviews. Vendors are evaluated on 21 criteria that cover current offering, strategy and market presence. This is a must-have report for any company considering their own supplier risk and performance management programs. In the report, Aravo is identified as "the leading SRPM specialist", which we believe is reflected in Aravo's position as the top-ranked vendor in the current offering category.